Description: The Torus Design is the first home to my knowledge that is specifically designed to utilize cold fusion generation. When LENR reactors come on the market (hopefully next year), they could be coupled with a micro-CHP cogenerator to produce both heat (radiant floor heat, in this case) and electrical power. 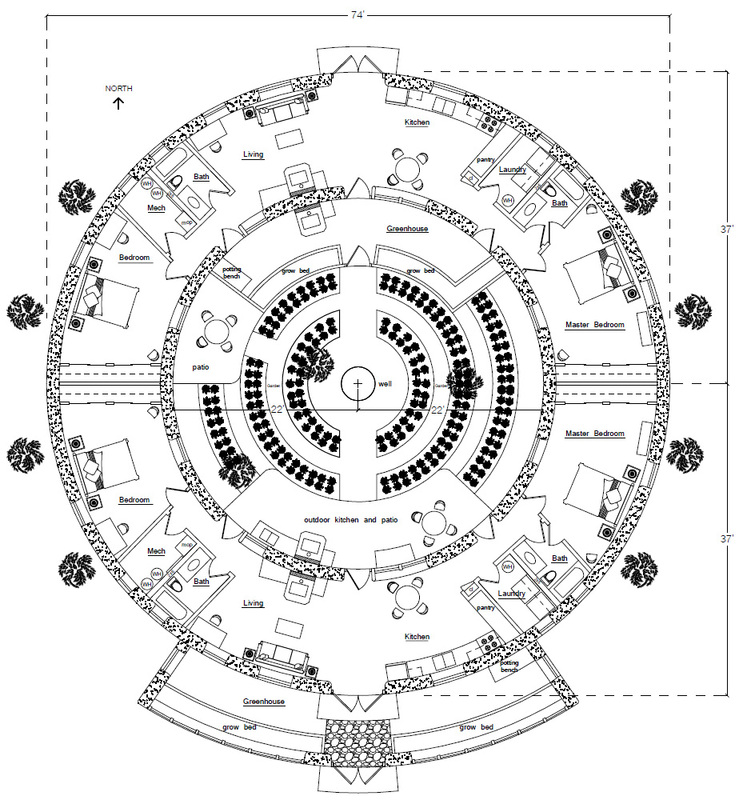 The house concept was inspired by the movie Thrive, which outlines ways of creating prosperity and equality in the world. Lack of energy is at the heart of many of the world’s problems. Clean, affordable, sustainable energy would likely raise the standard of living for mankind by helping to alleviate poverty, hunger, lack of clean water and more. 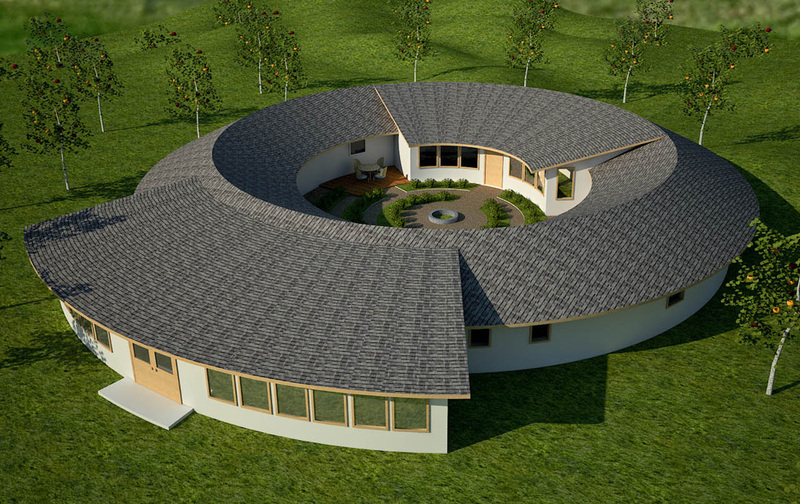 The Torus Design brings together three emerging trends: increasing self sufficiency — including renewable energy and food production, families moving back together to save money, and sustainability. These trends are evident in the growth of home gardens, organic food, green building, eco-conciousness, off-grid homes, do-it-yourself attitudes, and cost cutting strategies such as bartering and trading for goods and services. The current version could be used as a duplex (rent the other half to slash your bills). You could split costs with a friend or family member and share the courtyard. A lot of people can no longer afford their own home, so this design offers a potential solution for families to move in together. The design could be customized for large families. Options not shown: cisterns on the exterior and courtyard, underground Earthbag Survival Shelter with optional escape tunnel, Cool Pantry, rainwater barrels, food forest surrounding the home.